We arrived at Charlestown Breachway as the sun was setting, and was able to get some really nice pictures. 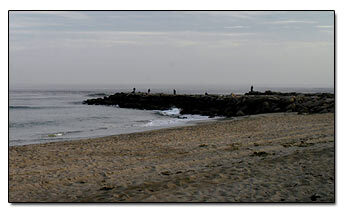 There were several people fishing on the jetty, and a couple taking a stroll on the beach. The first picture is of the beach area. There is lots of yellow deep sand, but the incline to the beach is rather steep. I don't think people swim here. The waves are always crashing the shore. There is a boat launch area and most people just go fishing and camping here. We see lots of RV's every summer. 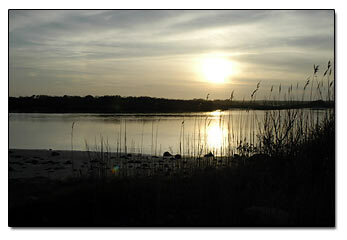 The best place to fish is from the jetty you see in the picture.